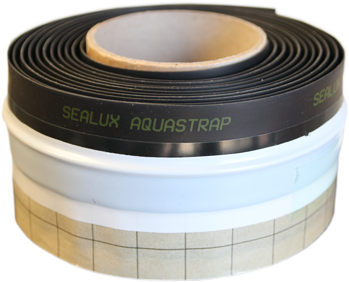 What Differentiates the AquaStrap Seal? for Shower Trays & Baths! What makes AquaStrap the best EPDM Upstand Seal on the market ? A pre-applied strip protection membrane saves installers time and ensures conformity to BS6213 recommendations. Two butyl release liners facilitate a simple and superior ‘hang and bond’ installation method for both new and seasoned installers! 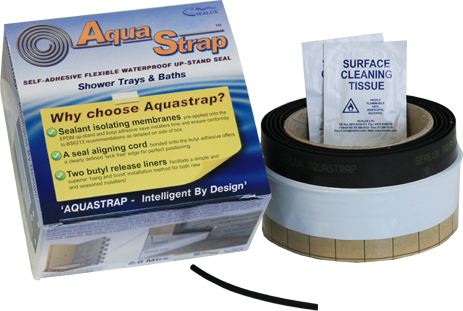 A seal aligning cord bonded onto the butyl adhesive offers a clearly defined ‘tack free’ edge for perfect positioning. .
AquaStrap is a leading up-stand seal used for sealing a shower tray/pan or bath tub. 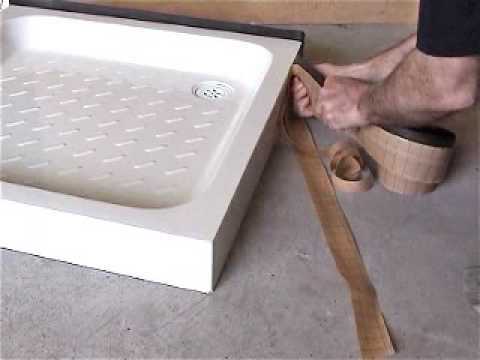 For those people installing a new shower tray or bath who prefer an exposed silicone joint to an extruded profile, AquaStrap will remain watertight in the event of the silicone seal leaking through joint movement or natural deterioration. Our seals accommodate the technical challenges of modern hi-use hi-performance shower environments, the aesthetic preferences of our customers and the recommendations of recognised national building standard authorities worldwide. Regardless of choice, all Sealux seals are ‘fit for purpose’ and ‘as described’! For Sealux, product research, innovation and integrity are key ingredients for long term success. 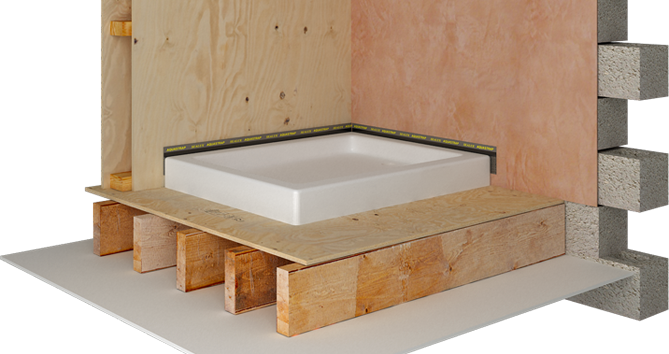 Sealux design, manufacture and distribute a range of movement joint seals for sealing the joint between a shower tray or bath ledge and adjacent tiled or panelled walls. Two release liners on the adhesive face allow a simple ‘hang and bond’ installation method. Trademarks and Copyright This is a Sealux website. All text, images and trademarks used on Sealux websites are protected by copyright and trademark laws. No part of Sealux websites may be reproduced without the specific written permission of Sealux. We consider the infringement of Sealux trademarks a serious threat and our policy is to pursue infringers through court of law.